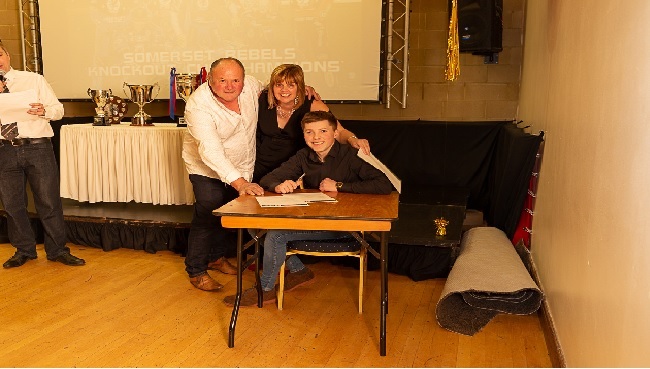 Henry, who turned 17 years of age at the start of the year spent an incredible 10 years as the mascot at Somerset, before joining Coventry in the 2016 at national league level and spent the last two seasons representing Plymouth. Speaking of the signing, promoter and team manager Garry May said "Henry has improved very well and has come on really good and so we thought it was about time we put him on our books as he is sure to be a useful rider as he gains more experience. Atkin described the signing as "a dream come true" adding "I moved to Plymouth to try and gain some experience on a smaller track, but my first love has always been Somerset as they gave me the first chance as a mascot all those years ago. Garry and Debbie have always been good to me and offered me a lot of encouragement and so I am delighted to have been able to sign for them."